We all remember going through "THE" tunnel while on the train. It gave boistrious boys a chance to pull a quick prank on unsuspecting passengers or the opportunity for giggly girls to scream. 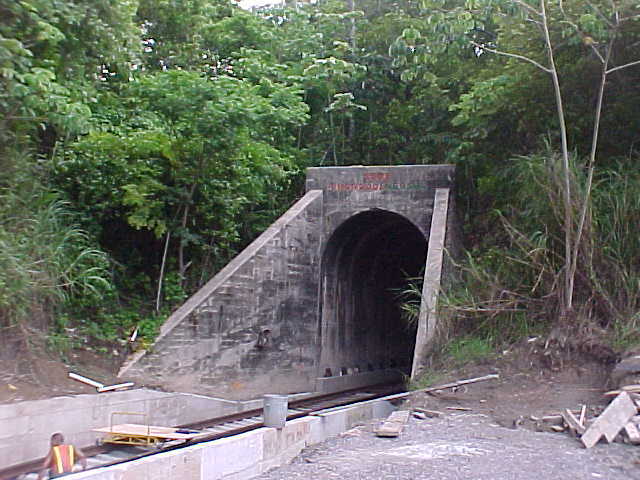 The tunnel was built during the construction of the Panama Canal when the railbed was reconfigured because of the canal prism. It has remained unchanged except for maintenance until now. 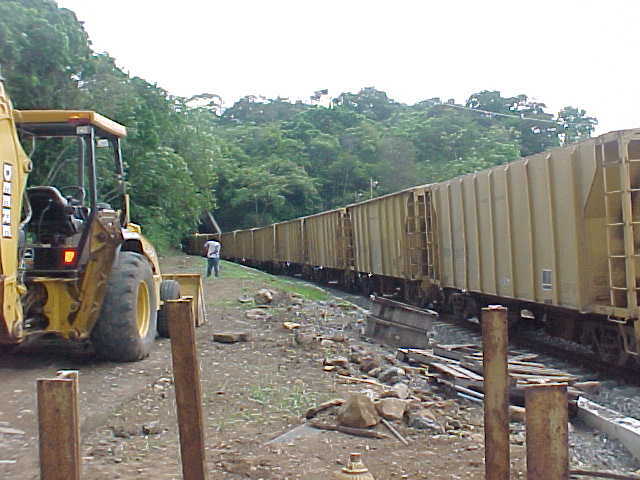 The Panama Railway Company is now laying new railbed and about to begin service across the Isthmus, but not without some additions as seen below. When the lake is filled and ships are moving through the Canal, the Panama Railroad will be one of the prettiest in existence. 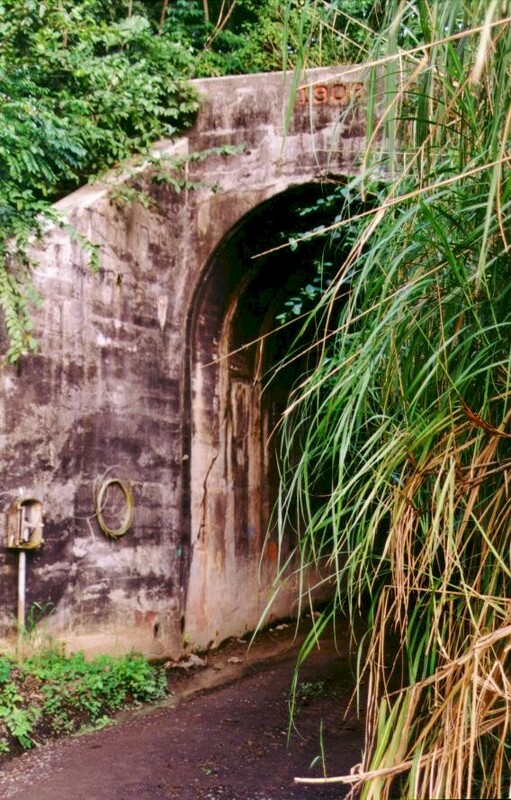 For thirty miles the train will skirt the borders of a lake; for nine miles more along the side of Culebra Cut, where the masts of shps will show up from the canal and one will be unable to see the ships themselves from the car windows; for many miles through picturesque jungle; then it will look down upon the locks at Pedro Miguel, and run along the edge of another lake. Finally, and fitting climax, it will dash through a tunnel, when it emerges one will see straight ahead, Ancon Hill, the eminence that overlooks the Pacific entrance to the canal, while beneath his eyes will be the locks at Miraflores, and the sea-level channel stretching away to the ocean. 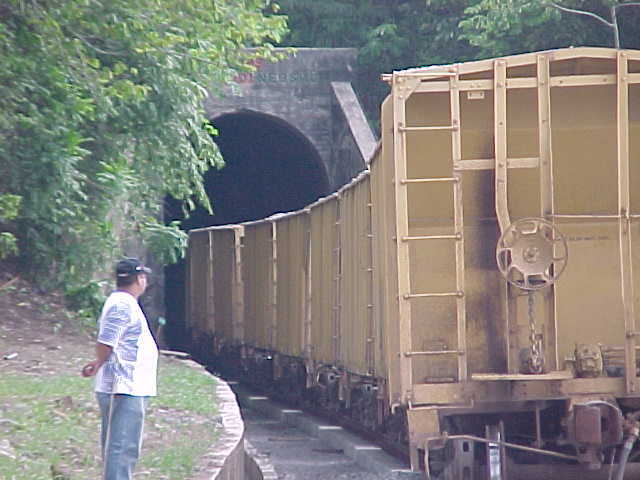 This is something to think about as the train passes through the tunnel. 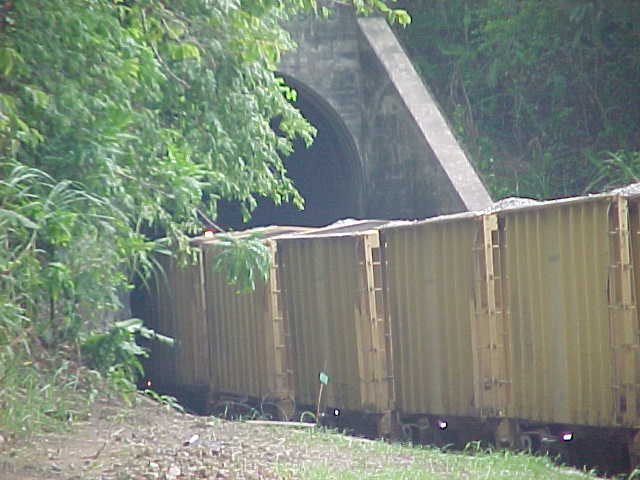 The tunnel is 736 feet long, 15 feet wide and 21 1/4 feet high above the top of the rails. It is lined with concrete. 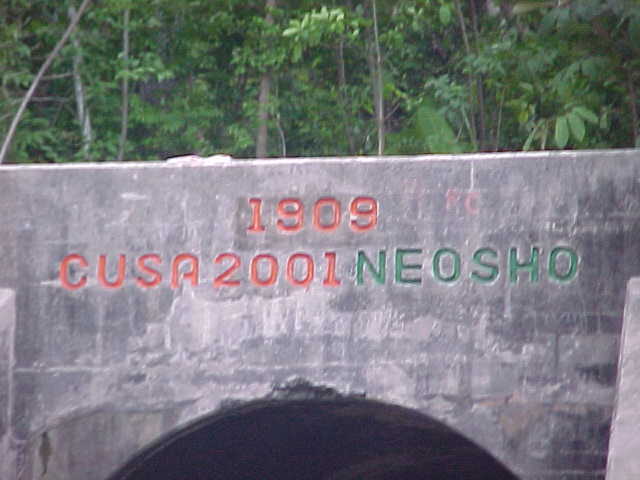 It was begun on July 1, 1907, and completed one year later. These photographs are the exclusive property of the photographer. Reproduction by any method is prohibited without the written permission of CZBrats.